Share has really nice way of editing any type of node, editing is of course done using forms. Previously we talked about custom models and that object can be in a relationship with other objects. So how to connect two object using UI? In this post we are going to extend component object-finder to allow user to search not only authorities but standard nodes like folder and custom also that we have created. For this example we have created a custom model that consists of one aspect ab:invoice and one type ab:buyer. Relevant part of model is listed below. Invoice aspect has several properties, invoice Date, invoice Number, invoice value and one association defining connection to instance of type ab:buyer , that will represent who is actually paying for a service and will receive an invoice. Buyer type is simple and consists of buyer name and buyer unique id. We have created one file Invoice.txt to which we have applied aspect ab:invoice, yeee , but we now want to set its properties. 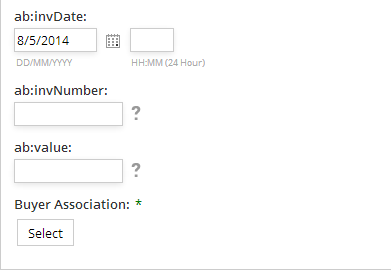 It is easy to see that property Invoice Date will be rendered as Date picker , that invoice number and value will be rendered as input fields so lets focus on association buyer . Image below is showing how this in rendered in the form for editing properties. We will go into why this form is generated like this later, for now lets see what happens after we click on Select button. Image below shows this. Dialog appears, we can see that initially we see the content of folder Buyers with its subfolders, that we can browse through the folders and after we find buyer we want clicking + will add him to the right. Question that imposes itself it what if we have 1000 buyers , how to we find one that we like, or if our buyers are not in one folder . This is a problem already solved in share if we want to set authority, but our buyer type is not authority and component object-finder does not want to allow us to search :'(. 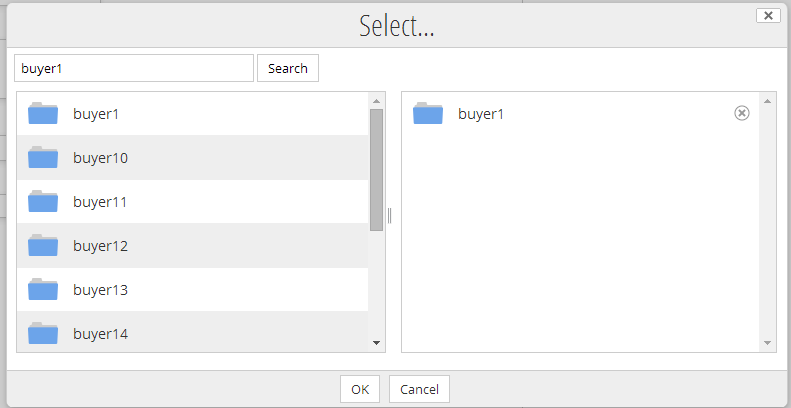 Our goal is to allow developer to set form setting in such manner to allow user to select buyer not from infinite list but as a result of a search and to allow user to set query. Lets see time image of goal achieved below. How does this new dialog works, it has search field and result of search are shown on the left. After user select desired buyer it appears on the right. We can choose what webscript serves the data and what results are, so in case we have scattered buyers across repository it is easy to see that this component will work in a great way. Now we will show you how to achieve this result in few short files and configurations. First we must do is create custom object-finder.js component, in this case it will be called ab-object.finder.js. Custom component will override key parts of standard object-finder that will give us more freedom and possibilities. Few key parts here are create new component and call its super contrusctor, and extend Alfresco.ObjectFinder overriding its _inAuthorityMode method. _authorityMode function decides if it should show search form or browse form that can we have seen in previous images. We have previously explained how to create share modules so in the spirit of share modules you should put file ab-object-finder.js in path below written. Another config needs to be set and that is form configuration, that will tell share to renders invoices properties in a desired way. Code previously shown tells us that if node has aspect ab:invoice next properties should be added to the form. Appearance part is more interesting and field ab:buyerassoc where we have specified template with number of control-parameters. Association.ftl is custom made ftl file that will kickstart our custom component ab-object-finder.js ,so let see the code. FinderAPI property is now commented out but if required it can be used if developer wants to create custom webscript to serve data. searchMode property is set to false so standard form will be shown in that case. 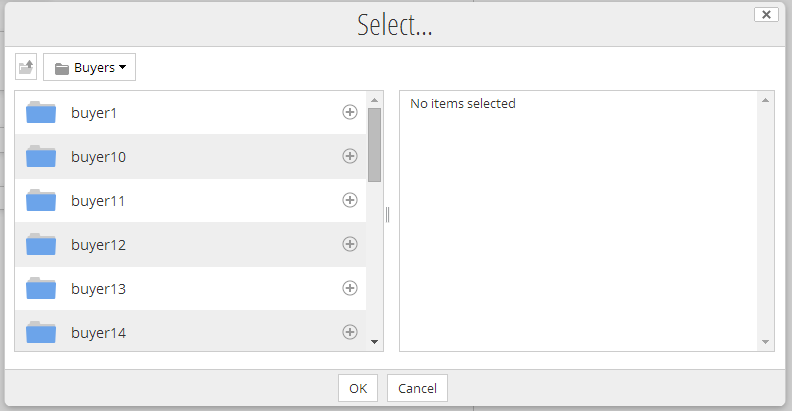 We have included file picker.inc.ftl where we specify AbObjectFinder object. This will still not work, if we do not set API url we need to allow standard webscript that is being called to return queried data. For itemFamily property in form config we have specified node, but we could say buyer and then be able to customize how data is returned depending of type of data we require. We must override default script pickerchildren.get.js that is being called. What is the result of this code? If query is present then show the children of current folder which name contains value of the query. File can be downloaded here . You could read more about working with custom types and alfresco and share modules . yes thanks for this.It is working fine ,but i want to load all document in current folder on loading of association. We are very happy to see that it works for you. You would need a bit of coding, let us know if you need help to meet your requirements. This is what I’m looking for. Thanks for sharing! Can you please share the path to keep association.ftl and picker.inc.ftl? It is the same as in alfresco. Also please suggest why only Loading is coming in the selection screen? This is exactly what I need, but I can’t show the form with the search. I need this to be only for that aspect and not for the rest of the controls like people picker in workflows. Can somebody tell me where the files are supposed to be located, because I can’t seem to pick the correct path no matter what I do? all paths are written in the post. Can you please tell me what did you do so far so that I can tell what is missing ? Now I need this to be a document search in a workflow. The plan is to be able to search for documents that contain some number in the title that would match the input in the search. I managed to show the control in the workflow. I tried changing the places, but still nothing. unfortunately xml does not show well in the comments :(. Did you setup the share form, I can not see? ps: If you want you can send me the xml in the contact area of the blog, i promise to take a look. What are the correct paths for the files… Maybe that is the problem? What is supposed to be in rootNode exactly – I saw that you have cm:Buyers but is that some type? Sorry about this. Appears that I can’t put the code here…. and then in appearance i say field mm:newPicker should be with label-id Documents and set in items section. I have the same type mm:buyer with the same properties and have aspect called mm:newPicker that has association mm:newPicker with the same settings as yours where class is mm:buyer. I just don’t have the extra properties.